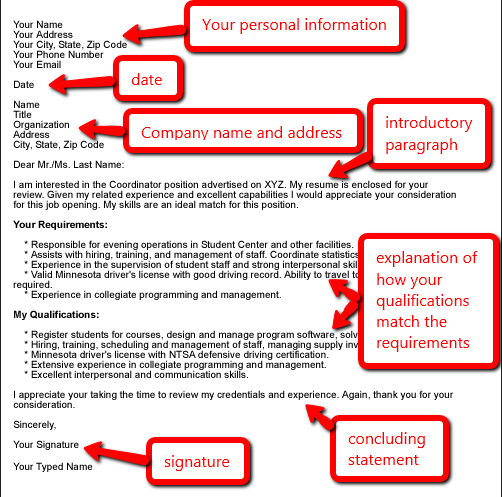 There are a few elements that should appear in all cover letters. 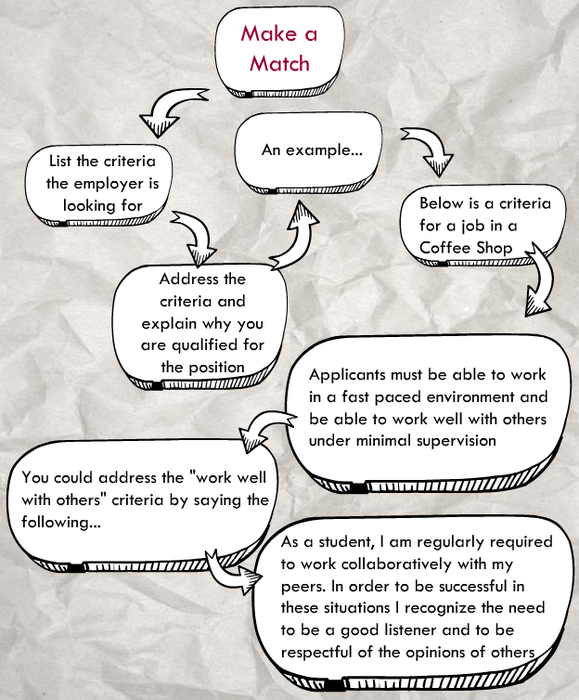 This example uses paragraphs to match the job requirements to the applicant's skills. 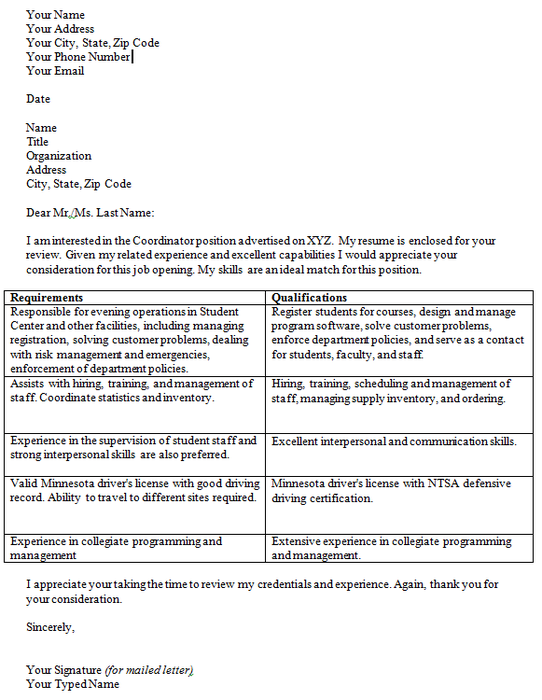 This example uses a table to match the job requirements to the applicant's skills. 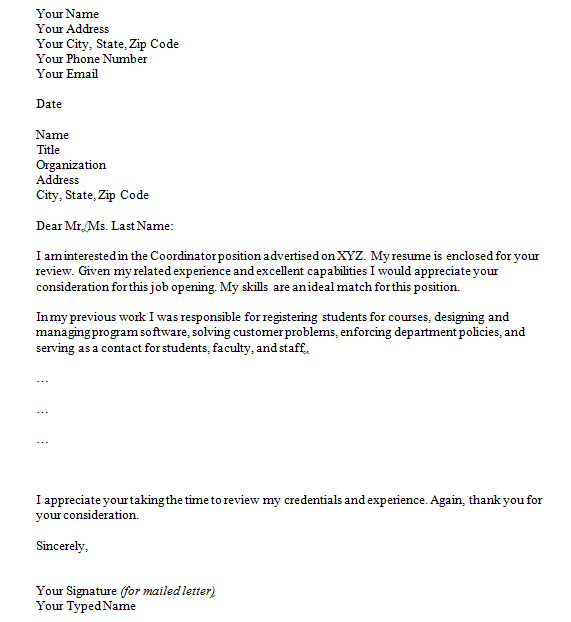 Employers have very little time to look at hundreds of resumes so it is essential that you are concise and to the point. 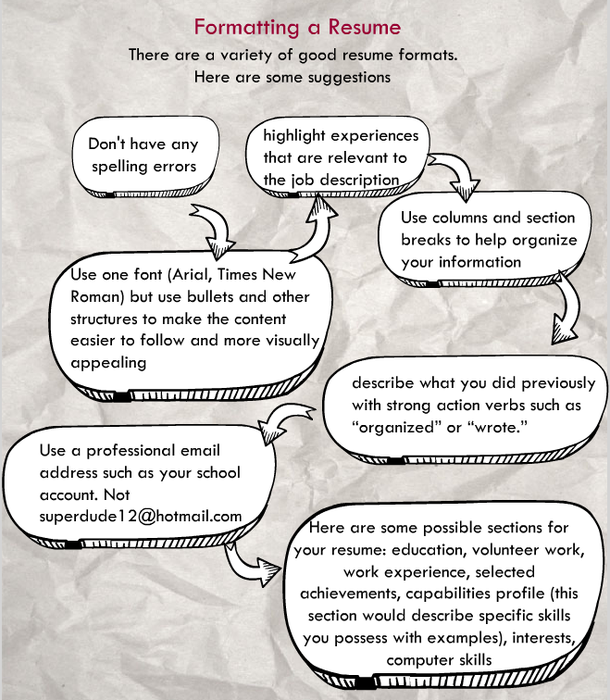 Below are some guidelines for creating a one page resume. 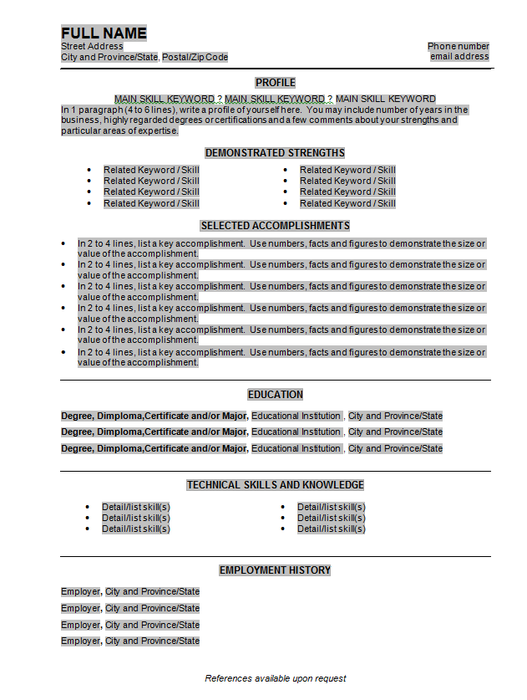 This is a sample template demonstrating how the resume can be organized. 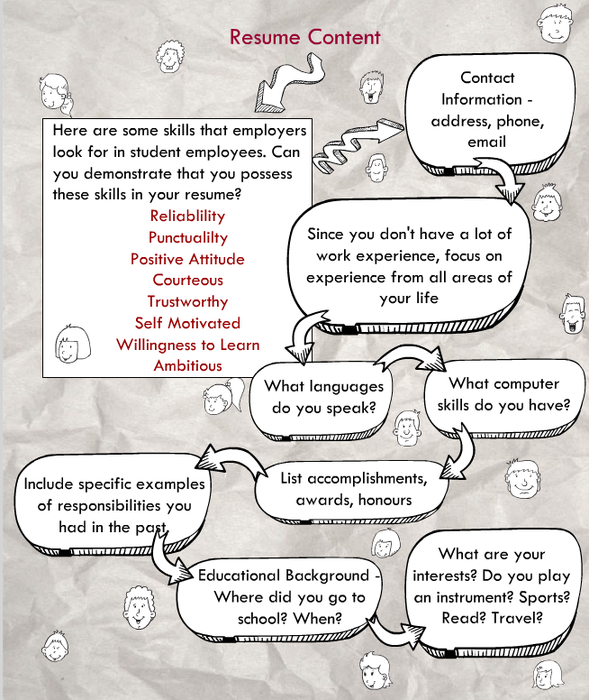 An example of a student resume.